Hi everyone. I made this for the current challenge at Uniko Studios. 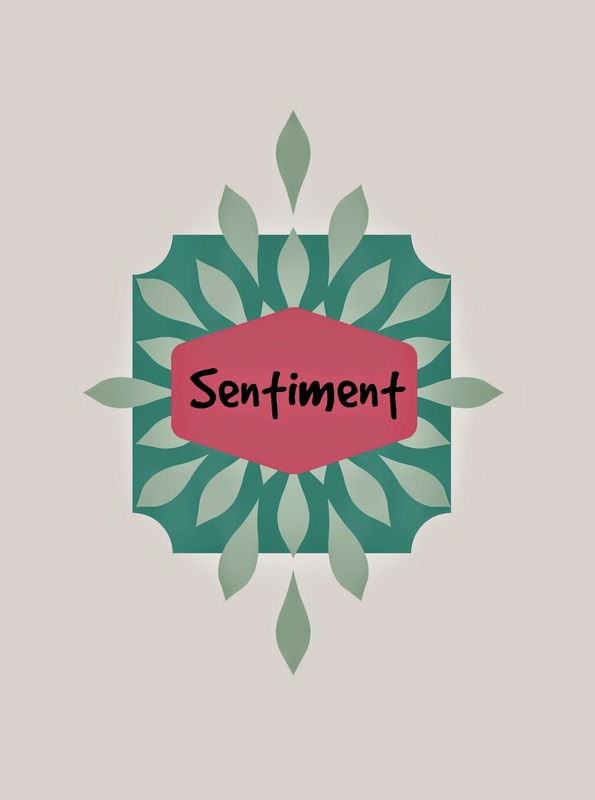 My friend, Sandie (London Days) has just joined their design team and so wanted to join in. Beautifully done, Loll - love the stickles on the berries and the extra gold pen on the bow. Can't believe we both just independently ordered that stamp!! Super elegant. It photographs beautifully for me. You should be proud. This card is outstanding! You nailed it with the Stickles without overdoing it! OMG Loll...Gorgeous gold sparkles (love your gold stickles berries), EB powder and Irredescent Ice EB powder. I love this stamp too. TFS my friend. I love your shinny sparkling CAS wreath !!! What a beautiful 'light as a feather' wreath Loll! Just gorgeous with the touches of gold! Oh Loll, this is beautiful, micht be right up there with my faves! I love this wreath and it's really pretty with all the gold and sparkle! I was going to say just what Bonnie said. So I'll repeat, I love this wreath and it's spectacular done in gold with sparkle. Oh this IS pretty! 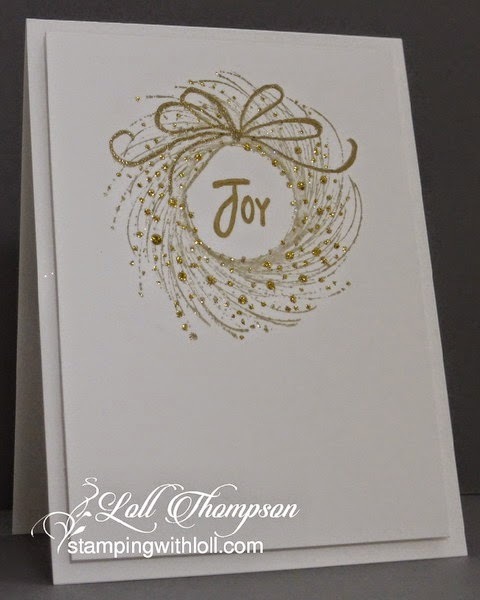 Love the simplicity of the look, and that gorgeous gold embossing. I have this stamp, and it must be hiding with my PSX bell stamp. This is one really beautiful card. Such sparkle & class. TFS & Hugs. (now off to see what the other blog you're doing has going on). OMG! 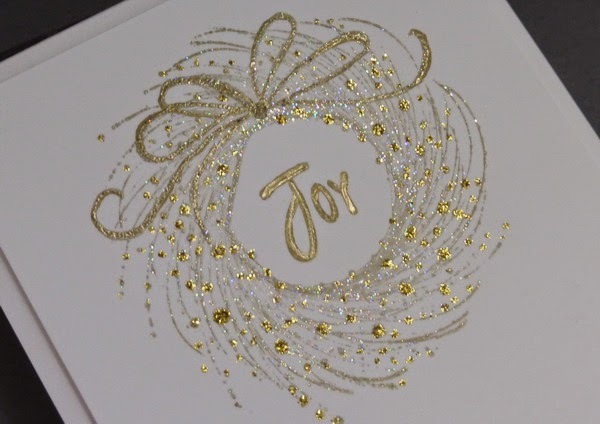 Love all the gold around the wreath - elegant card! Ooh, la, la....this is a golden beauty, Loll. I LOVE it. I think I have a wreath very similar to this one and may have never used it. This really makes me want to dig it out. I love the stamp and your treatment of it.